Are you ready for your next interior painting project? Once you have decided on your overall vision for your home’s new aesthetic, you will need to make sure you have the right tools to finish the job. Without the right tools, your paint job will not have that professional quality finish. However, if you secure the right tools the first time around, you will be able to complete your painting project efficiently and beautifully. Here are the to consider if you are ready for your next painting project. First, you will most likely need to get a few different brushes for your painting project. You will want large brushes for painting large surface areas, and you will want smaller brushes when painting smaller areas such as trims, moldings and borders. For large surfaces, choose a 3 or 4-inch wide brush with a thickness of ¾-inch to 1-inch. To paint in those hard to reach corners, you will want to use a 2-inch wide brush with tapered edges. For molding and other woodwork, we recommend a bush that is between 1 inch and 2 ½ inches wide. Use a high-quality brush to ensure that the finished project looks high quality. This means selecting a brush with split ends (creates a finer finish), bristles that measure at least half as long as width of the brush, bristles that are shorter on the outside and longer in the center, and ensure bristles don’t fall of when you tug on them. A high-quality brush will last you for years and several projects, so invest wisely. A roller may be the right tool for you to use if you are working with a large surface area. However, a roller may make it difficult to reach smaller spaces, which is where your brushes will come in handy. Or, you can buy a variety of roller sizes to meet your space requirements. For latex based paints, use a roller with a synthetic or fiber surface. When working with alkyd or oil-based paints, you can use either synthetic or natural fiber rollers. This same rule applies for your brush bristles! Make sure the roller will leave a smooth coat. You can check this by making sure there are no obvious seams in the roller and by checking how quickly the roller returns its shape when you squeeze it. Price is also usually indicative of the quality. Paint sprayers may be ideal if you have a very large space you are painting. They are convenient, but may not be ideal for the first-time user, as achieving the right coverage can be difficult. Consult with your local paint shop to see if a sprayer would best serve your specific project. Other than your actual painting tools, you will also need some other accessories to complete your job successfully. Tarps will be useful for ensuring you don’t get paint on your flooring or furniture, which can cause a lot of unwanted damage during a painting project. You will also need painter’s tape if you do not want to get paint colors in areas they are not intended to be (for example, wall paint on the ceiling or on your moldings). We also recommend wearing protective clothing and gloves to keep your skin and clothing free of paint. Other accessories such as ladders, buckets, and fans may be required as well, depending on your project specifications. Want to make sure you have all of the right paint tools and high quality paint for your next project? Then it is important that you stop by or contact your local Wallauer’s Design Center. 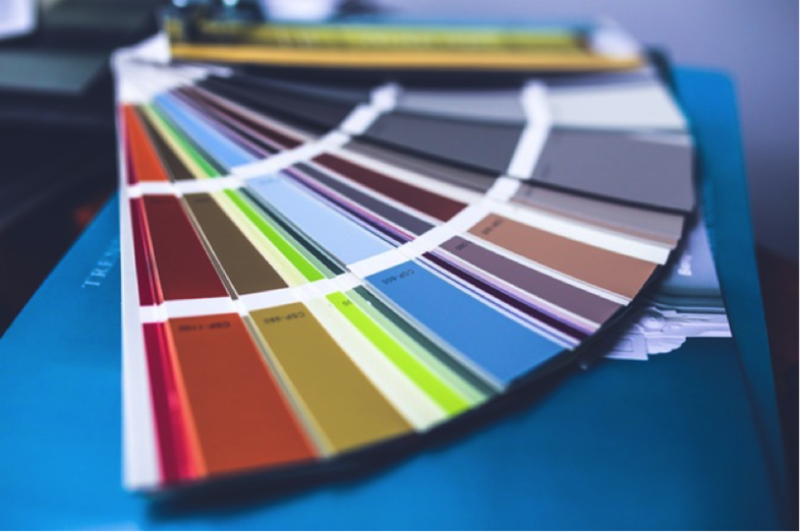 Our design professionals can help you determine exactly which paint and tools you need to achieve a high-quality and professional looking interior design. We will equip you with everything you need to get the job done right!